Everything we have been told by TEPCO has been lies. The only time they tell the truth is when they cannot hide the truth any longer. They have downplayed the levels of radiation being leaked, they have lied about the amounts of radioactive water being poured into the Pacific ocean and they have misrepresented the whole situation, consistently, since the 2011 earthquake and tsunami crippled the Fukushima nuclear plant. 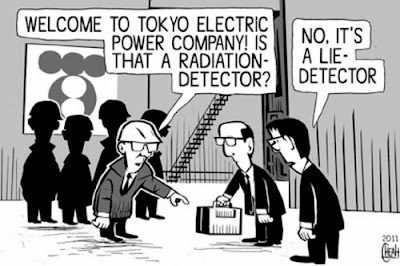 In the video below from Truthstreammedia, they offer a clear, concise rundown of what has been happening and they remind us, it ain’t pretty and as their headline says, they show why we can’t trust anything TEPCO says about Fukushima.